The second and probably last season of The Punisher arrived on Netflix this past weekend, and after binging the whole thing, I’m ready for the Netflix Defenders shows to end. It was a fine experiment, there’s some decent TV on the whole, but let’s move on. I should preface this whole post with a warning to take my thoughts with a grain of salt. I’ve only ever been a moderate Punisher fan, but I hold Garth Ennis’ Punisher MAX comic as one of the greatest comic book runs of all time. I reread nearly all 10+ volumes at least once a year, I love it so much. So when it comes to reviewing anything new about the Punisher, I am hugely biased in one certain direction. And for the second season in a row, The Punisher TV show on Netflix is nothing like Punisher MAX. The show is its own thing, and I can respect that. I’d like it even more if that own thing was good. But as we’ll discuss, I didn’t care for this season. Join me after the jump for my thoughts on The Punisher season 2! Feel free to share your own review in the comments. And be aware of FULL SPOILERS for the entire show. The Netflix Defenders are in free fall! Within the past week or so, both Iron Fist and Luke Cage have been cancelled! It’s quite the shocker! I always pictured these four shows — along with Daredevil and Jessica Jones — as being a package deal. And does Netflix really cancel shows? Is that how they work? Whatever the case may be, the third season of Daredevil arrived to remind us all that these shows can be damn good! Daredevil remains the standout show of the entire experiment. With the exception of the season 2 finale, I’ve loved everything about the Daredevil show, so I’m quite pleased at another exciting season. 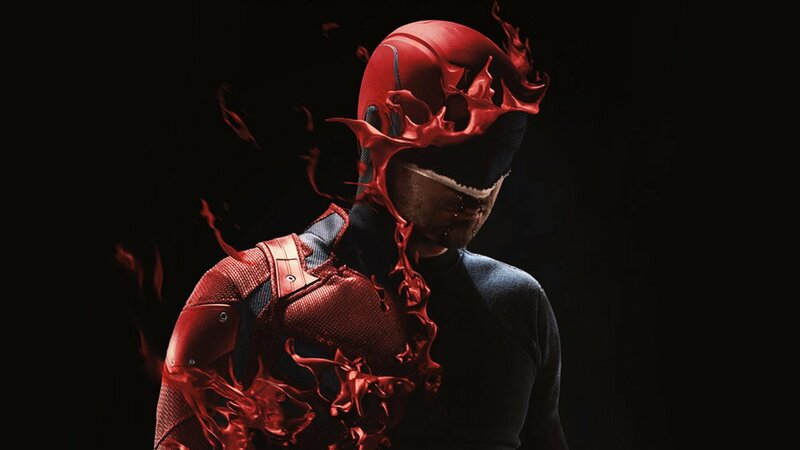 Though if I’m being honest, Daredevil isn’t among the best TV of the year for me. It’s fun and exciting, but for me, it falls just under the radar of being must-watch television. Still good though. Join me after the jump for my thoughts on the latest season. Except FULL SPOILERS for the whole season. And feel free to share your own reviews in the comments. Daredevil is Almost Back, Baby! It’s barely been a month since the last season of Iron Fist ended, and the new season of Daredevil is soon upon us! Looking back at the Netflix Defenders as a whole, I think the Daredevil seasons have been my favorite, so I’m very excited! Especially since Wilson Fisk is the villain again! And it has been confirmed that the other villain in that trailer is Bullseye! So cool beans there! Hopefully he gets his own costume by the end. Daredevil season 3 arrives on Netflix on Oct. 19. Iron Fist season 2 comes out the week of my birthday, so I’m assuming it’s Netflix’s gift to me. I was fine with season 1 and didn’t dislike it to the extent most people did, so I remain somewhat hopeful about season 2. I have also been largely disappointed in most of the Netflix Defenders shows at this point, but i remain somewhat hopeful about season 2. All of this looks fine. Davos should make for a good villain, especially if they go full Steel Serpent with the guy. And the fight scenes are supposed to be improved. Why they haven’t gone full Tournament of Heaven with this Iron Fist series is beyond me. Brubaker and Faction gave you a perfect Iron Fist story! Make it!